In the coming weeks you will be noticing some major updates to the office. 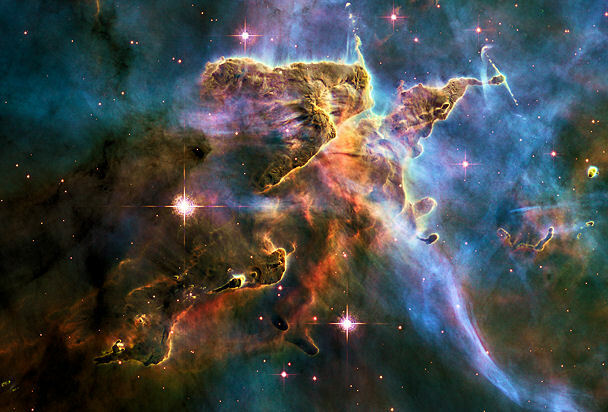 No, we aren’t going to the Carina Nebula pictured above! But we are implementing a brand new software system called ChiroTouch! ChiroTouch will allow us to streamline all of our office procedures from making appointments, sending appointment reminders, paying your bill and maintaining your health record! That’s right folks, we’re going electronic. Impending government regulations have had a hand in forcing this change. But we have embraced this opportunity and are excited to see it come to fruition. For the most part your experience in the office won’t change. Initially, there will be a short form every patient will have to fill out by hand. It may take us a few extra seconds to get your note done, transaction in and next appointment scheduled. But we are going to work as hard as possible to stay on track. In the future you may be participating more in your record keeping. We will walk you through that if/when we’re ready to cross that bridge! While we have been working hard behind the scenes since May to learn this new system, there may be some hiccups along the way. Thank you in advance for your patience as we get used to this major change in the way we run the office. We sincerely appreciate it! As always if you have any questions, please do not hesitate to let us know.